Contemporary romance author. Bringing book boyfriends to life. The Honey Trap is LIVE!!! YAY! The Honey Trap is LIVE! After catching her childhood sweetheart cheating on her, Sophia Hamilton is hell-bent on stopping other women from getting played like she was. And so the played becomes the player. Fast forward two years and Sophia is now one of San Francisco’s most successful honey trappers. Getting paid to expose cheating men has become the norm but just when she thinks she has seen it all, she is offered a unique proposition which threatens to turn her entire world upside down. Mason Hunter is a hotel tycoon, millionaire and cheater. Or is he? Sophia has six weeks to find out. She quickly discovers that Mason isn’t the only one keeping secrets and she becomes caught up in a tangled web of lust, lies and misplaced loyalties. Lines are crossed. Rules are broken. The real Mason Hunter is about to be exposed. 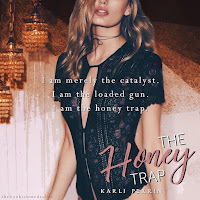 The Honey Trap cover reveal! I am SO excited to finally be able to share the cover and synopsis for The Honey Trap which is releasing on SEPTEMBER 13TH!!! It is a fun, flirty, fast paced standalone and is available to pre-order RIGHT NOW!!! She quickly discovers that Mason isn't the only one keeping secrets and she becomes caught up in a tangled web of lust, lies and misplaced loyalties. It has taken me three years to write this book (mostly due to the fact that I have created two tiny humans in that space of time) and I am head over heels in love with it! A huge thank you to the super talented Emma Hart for designing the cover. I have been desperate to show it off to the world for a long time! I hope you all love the cover and synopsis as much as I do and I can't wait to share the book with you next month! *pops champagne* YAY!! April Fools is LIVE!! I can now reveal that April Fools will be released on December 12th!!! 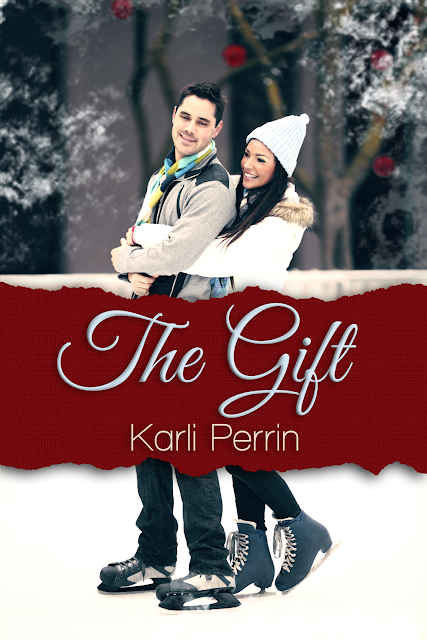 Cover reveal for The Gift!!! Here is the gorgeous cover for my short story 'The Gift', releasing 1st December!! It was the weekend before Christmas and the whole world was on countdown. Last Christmas, I met a boy. Last Christmas, we made a pact. Christmas would never be the same.